Our next major photopost will be for liturgies celebrated on the Epiphany, whether in the OF (Sunday, Jan. 7 in the United States) or the EF, or any of the Eastern Rites, Ordinariate Use, etc. ; as always, we will be very glad to include other liturgical ceremonies such as the blessing of the waters. Please send your pictures to photopost@newliturgicalmovement.org, and don’t forget to include the name of the church and its location, along with any other information you think worth noting. Evangelize through beauty! 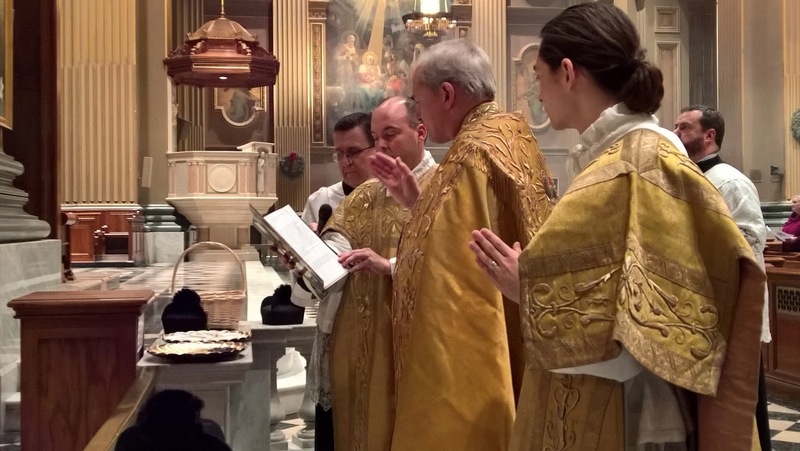 From last year’s Epiphany photopost, the blessing of gold, frankincense and myrrh at the Cathedral Basilica of Ss Peter and Paul in Philedelphia, Pennsylvania.